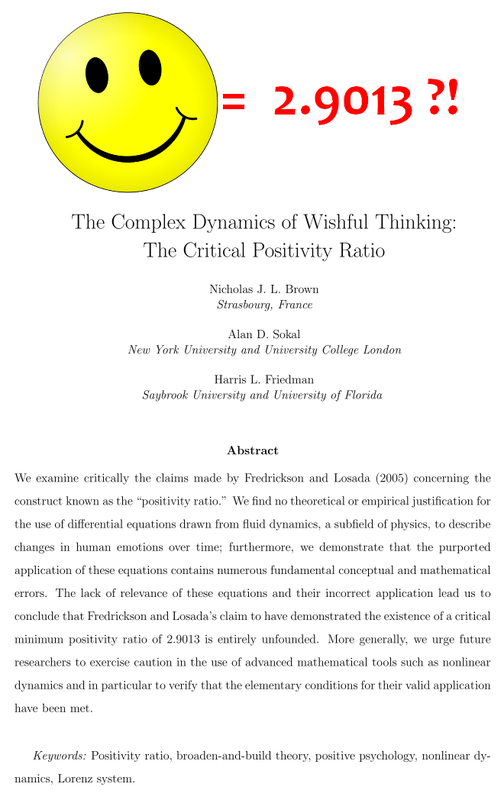 HERE is a very entertainingly written article in the Guardian about the de-bunking of a highly cited paper on positive psychology that had used Lorenzian complex dynamic maths. It is a textbook case of Physics Envy. The debunking paper is HERE. - The Differences Aren't Very Great.